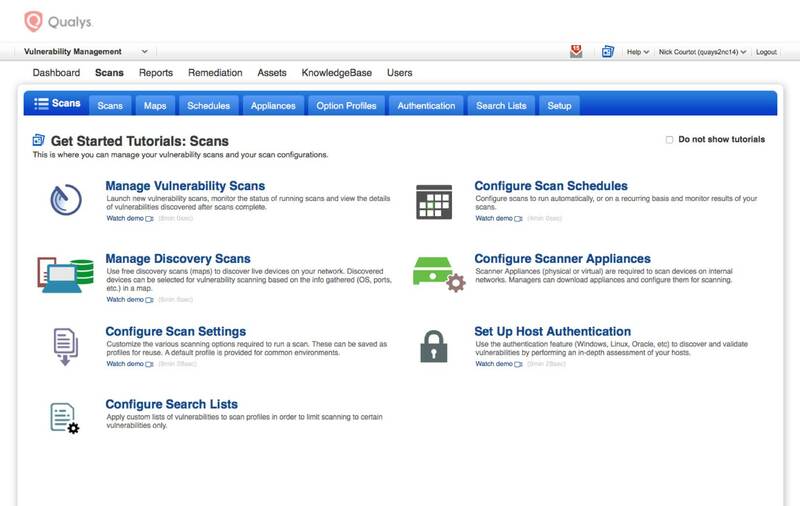 Vulnerability Management | Qualys, Inc. Continuously detect and protect against attacks, anytime, anywhere. In addition to our scanners, VM also works with the groundbreaking Qualys Cloud Agents, extending its network coverage to assets that can’t be scanned. The lightweight, all-purpose, self-updating agents reside on the assets they monitor— no scan windows, credentials, or firewall changes needed. Vulnerabilities are found faster, and network impact is minimal. When VM is paired with Continuous Monitoring (CM), InfoSec teams are proactively alerted about potential threats so problems can be tackled before turning into breaches. You can tailor alerts and be notified about general changes or specific circumstances. CM gives you a hacker’s-eye view of your perimeter, acting as your cloud sentinel. Qualys VM continuously scans and identifies vulnerabilities with Six Sigma (99.99966%) accuracy, protecting your IT assets on premises, in the cloud and mobile endpoints. 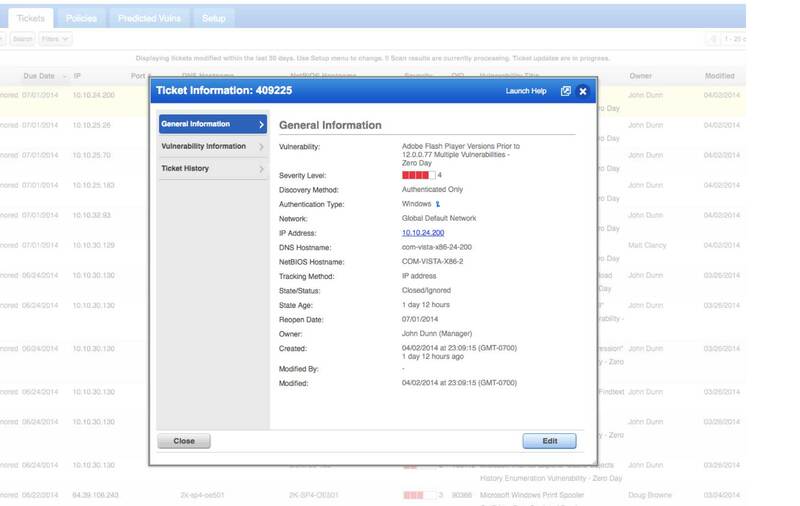 Its executive dashboard displays an overview of your security posture and access to remediation details. VM generates custom, role-based reports for multiple stakeholders, including automatic security documentation for compliance auditors. As enterprises adopt cloud computing, mobility, and other disruptive technologies for digital transformation, Qualys VM offers next-generation vulnerability management for these hybrid IT environments whose traditional boundaries have been blurred. With its fast deployment, low TCO, unparalleled accuracy, robust scalability, and extensibility, Qualys VM is relied upon by thousands of organizations throughout the world. 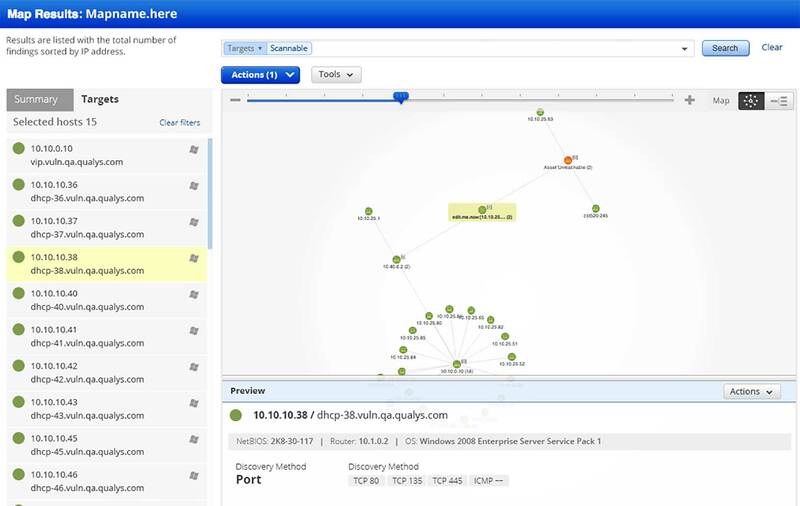 With Qualys, you can quickly determine what’s actually running in the different parts of your network—from your perimeter and corporate network to virtualized machines and cloud services such as Amazon EC2. Uncover unexpected access points, web servers and other devices that can leave your network open to attack. Scan systems anywhere from the same console: your perimeter, your internal network, and cloud environments (such as Amazon EC2). Since Qualys separates scanning from reporting, you can scan deeply and then create custom reports showing each audience just the level of detail it needs to see. Using Qualys, you can identify the highest business risks using trend analysis, Zero-Day and Patch impact predictions. 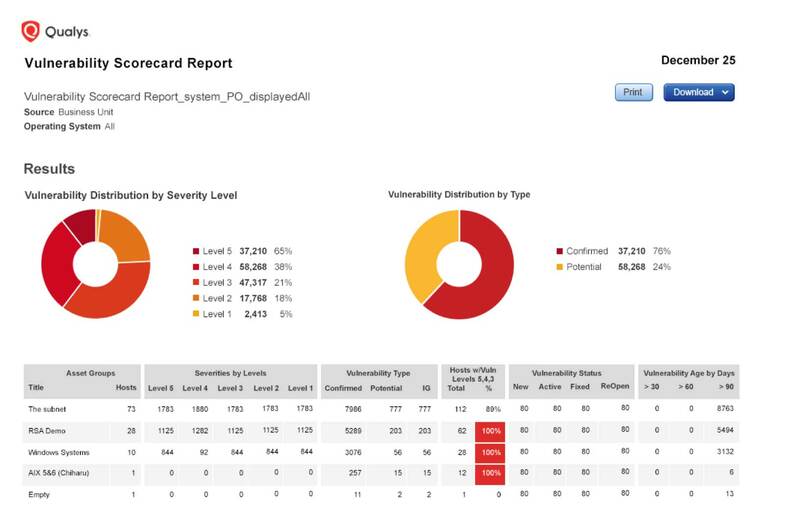 Qualys tracks the disposition of each vulnerability on each host over time. 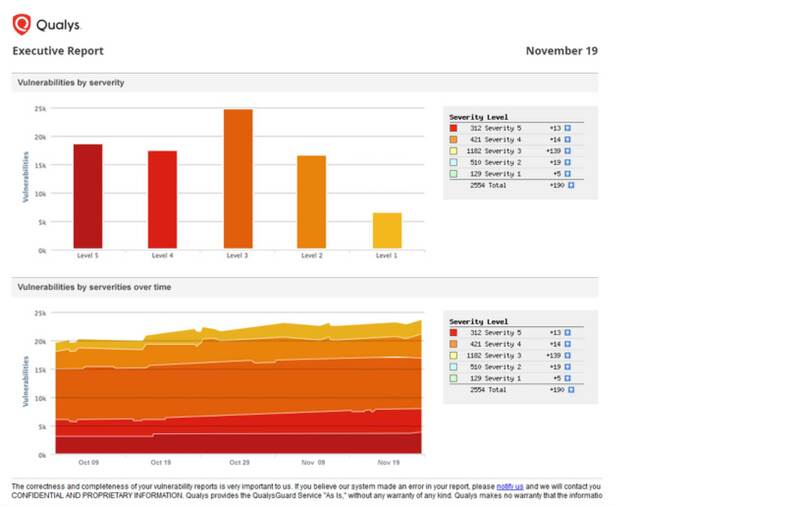 This helps you document the actions taken in response to each vulnerability and monitor the effectiveness of your remediation efforts. 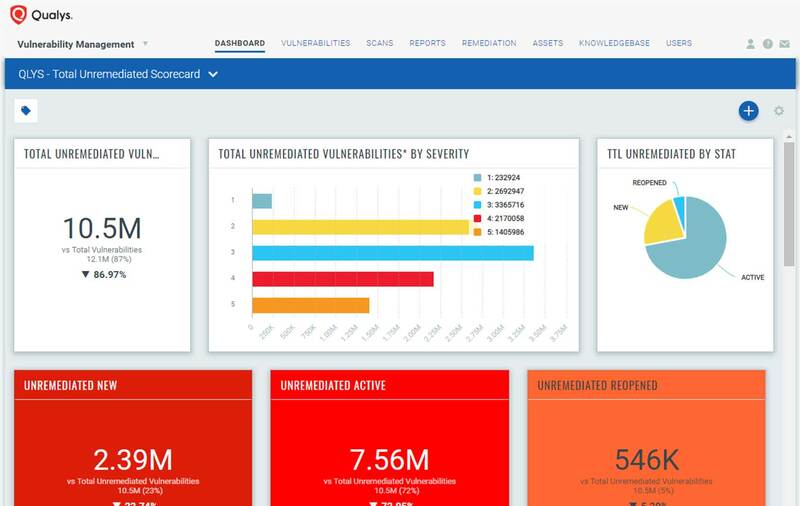 Qualys’ ability to track vulnerability data across hosts and time lets you use reports interactively to better understand the security of your network. Use a library of built-in reports, change what’s shown or choose different sets of assets — all without having to rescan. Reports can be generated on demand or scheduled automatically and then shared with the appropriate recipients online, in PDF or CSV.